So… I have some news about FLIRTY LITTLE SECRETS. The short version is, the book’s release date has been pushed back to March 7, 2017. Now, I know what you’re all thinking, because it’s the same thing I thought the first time my editor told me the new release date. Here’s the deal: I needed an extra month on my deadline. The book is coming along well–really well, in fact–but I needed a little more time to do all the things I want to do with this book. Unfortunately, that one-month delay impacts things on my publisher’s side, and in order for them to be able to do all the things they want with this book, they needed to push it back to March 2017. Trust me, I can’t wait to have FLIRTY LITTLE SECRETS out in the world. But at the end of the day, I would much rather take the time that is necessary for me to finish writing the book, than rush things and potentially sacrifice quality. There are many things I can’t control once a book leaves my hands, but the one thing I can always ensure is that I write the story I want to write. That said, I know the delay stinks. And I apologize for that–I know how much you guys are looking forward to the book. On the upside, I’ve already talked to my publisher, and we’re going to do a monthly series of giveaways of all my backlist books as we countdown to the release of the new book. So stay tuned for that. Feel free to leave any comments below–I’m happy to answer any questions you might have! Since several of you asked…the pre-order link for my next book, FLIRTY LITTLE SECRETS, is up on Amazon here. I have confirmation from my publisher that the Kindle price is going to drop by $2 and should be showing up on Amazon next week. Those of you who already pre-ordered will get it for the cheaper price, per Amazon’s pre-order guarantee. 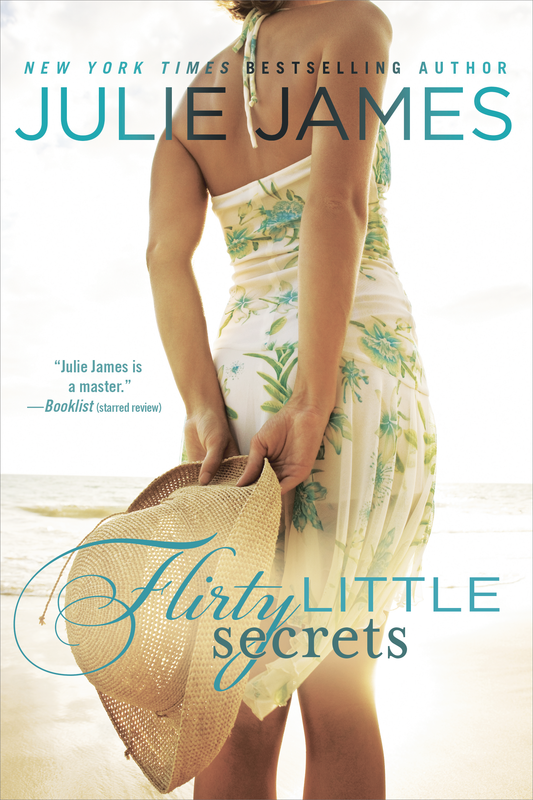 More information about FLIRTY LITTLE SECRETS can be found here. Please note: the giveaway is closed. You all have waited ever-so-patiently for information about my next book, and today, many of your questions will be answered! The most common query I get is whether the new book will have an FBI theme, and I’m excited to tell you that the answer to that is . . . yes!! But, wait–there’s more. Because this book doesn’t have just one FBI agent protagonist, but TWO of them. Whoo-hoo! We’ve got undercover stuff! And beaches! And a heroine and hero who can’t stand each other . . . at first. And if you’ve ever wondered what really goes on at the FBI Academy, Flirty Little Secrets has you covered there, too. Now, I do want to give you a heads up about something. Flirty Little Secrets is currently scheduled for a July release date, and it will be available in trade paperback. For those of you wondering, “What’s a trade paperback?” those are the bigger paperbacks, the ones you typically see on the “New in Fiction” tables at the front of the bookstores. My previous books were all released in mass-market paperback (the smaller ones), so this is a change for me. And it’s a change that I’m excited about–my publisher thinks this new format presents a lot of opportunities for me to continue growing as an author and, obviously, that’s a great thing. Bottom line, I’m excited about this new format, and the opportunities it presents, and I’m also super-excited about this book, specifically. (If you haven’t guessed it already, I find this FBI stuff fascinating.) One of the most rewarding, humbling, and coolest things about being an author has been the enthusiasm with which my books have been received by you, the readers, and I hope that all of you will make this jump with me to the new format and continue along in the adventure. All right, enough with all of my gabbing…. How about a giveaway to celebrate the release of my new cover? 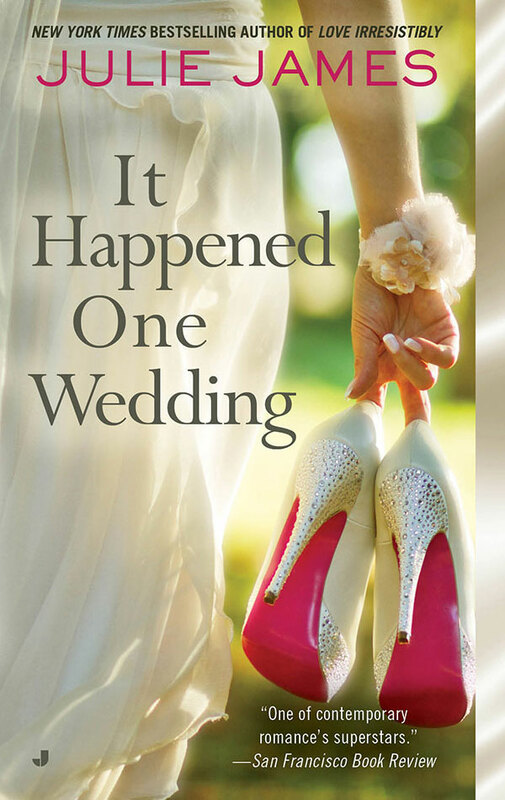 Seeing how we’ve been chatting about the FBI, I have five signed copies of my previous FBI book, It Happened One Wedding, up for grabs. To enter, just leave a comment below. The giveaway is international, and will remain open until 9pm tomorrow, November 19. Please enter only once. Good luck! P.S. If any of you have any questions about the new book, or the trade paperback format, feel free to leave them in your comment below. I can’t promise I’ll respond to every question, but I’d love to hear what you guys think!